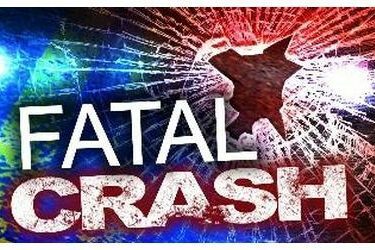 The Oklahoma Highway Patrol reported a fatality collision occurred about 1:20 p.m. Tuesday on N 20th West Avenue, approximately half a mile west of Sperry in Osage County, OK. The patrol said the accident involved a 2004 Mercury Sable driven by Terry Lynn Bumgarner, 55, of Turley, OK. Bumgarner was transported by LifeFlight to St Francis Hospital in Tulsa, OK, where she was admitted in critical condition with head, trunk internal, trunk external, arm, and leg injuries. UPDATE: Terry Bumgarner expired from her injuries at about 1:25 a.m. on Wednesday. A passenger in the vehicle, Samuel E. Bumgarner, Jr., 66, of Turley, OK was pronounced deceased at the scene from massive injuries by Country Corner Fire Department and EMS. A second passenger in the vehicle, Tiffany Anne Ladd, 28, of Turley, OK was transported by Skiatook EMS to St. John’s Hospital in Tulsa, OK, where she was treated and released. A third passenger in the vehicle, Charles L. Hendrix, 38, of Turley, OK was transported by Skiatook EMS to St. John’s Hospital in Tulsa, OK, where he was treated and released. The second vehicle involved was a 2000 GMC Sierra pickup driven by John G. Martin, 69, of Bartlesville, OK. Martin was transported by Country Corner EMS to St. John’s Hospital in Tulsa, Oklahoma, where he was treated and released. The Highway Patrol’s report stated Bumgarner’s vehicle was stopped at a stop sign, Martin’s vehicle was east bound when Bumgarner’s vehicle failed to yield to Martin’s vehicle, causing Martin’s vehicle to strike Bumgarner’s vehicle. Terry Bumgarner was pinned for approximately 15 minutes until freed by the Sperry Fire Department. Seatbelts were equipped and in use by all occupants of both vehicles. The report indicates that illegal drugs were in use by Terry Bumgarner. The condition of John Martin was apparently normal. The cause of the collision is attributed to a failure to yield. Investigated by Trooper Brian Rose K605 of the Osage and Pawnee Counties Detachment of Troop K. Assisted By LT. Phillip Ludwyck K155 of the HQs Detachment of Troop K, Trooper Mark C. Sparks Y200 of the Cimarron Turnpike Detachment of Oklahoma Turnpike Authority, Trooper Jamie Guinn B434, and Trooper Quenton Payne B668 both of the Tulsa County Detachment of Troop B. Also assisted by Skiatook PD, Osage County SO, Sperry FD, Skiatook FD, Country Corner FD/EMS, LifeFlight, and EMSA. This report is based on the troopers investigation of this collision, it may contain the opinion of the trooper.